Foreign nationals covered by the executive order can travel as before to and from the U.S. The United States Court of Appeals for the Fourth Circuit ruled Thursday not to reinstate President Donald Trump’s revised Executive Order to ban nationals of six Muslim-majority countries from entering the U.S. In a 10-3 decision, the court upheld a district court’s ruling to halt the implementation of the ban, saying that when taken in context the Executive Order “drips with religious intolerance” for Muslims. The Trump administration had hoped the new order would survive judicial review, but federal judges in Maryland and Hawaii ruled in March to stop the revised order from taking effect. The administration appealed both rulings. The U.S. Court of Appeals for the Ninth Circuit is currently considering the appeal of the Hawaii judge’s ruling, but has yet to issue a decision. BAL Analysis: For the time being, foreign nationals covered by the Executive Order can continue traveling to and from the U.S. as they could before the order was signed. The rulings so far have not reached the merits of the case, however, and an appeal to the U.S. Supreme Court is possible. Employers with personnel inside the U.S. who would be subject to the order should continue to advise their employees to exercise caution when planning travel because the litigation is ongoing. BAL is carefully monitoring the litigation and will continue to provide updates on important developments. This alert has been provided by the BAL U.S. Practice group. 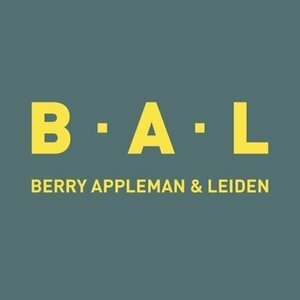 For additional information, please contact BerryApplemanLeiden@balglobal.com.